Enjoy Daily Trips around Paros – Antiparos and also to all Cyclades islands. Explore the coast line of Paros – Antiparos and all Cyclades islands and discover unique hidden beauties.White sand beaches and blue-green water, which you can reach only by boat. Caves, impressive rocks with a variety of colors and shapes, emerging from majestic depths. Distant rocky small islands with small chapels on them, beaches with fine and soft sand in small, hidden bays. Secluded small beaches littered with countless small shells and colored pebbles. Enjoy your favoriteWater Sports and Activities in the Aegean crystal clear waters! Live with us the unique experience of fishing from the boat around Paros – Antiparos or further islands. With the most advanced techniques for all kinds of fish. We provide equipment, our knowledge and experience for each type Fishing from the Boat, as Vertical, Zoga & Jigging technics. 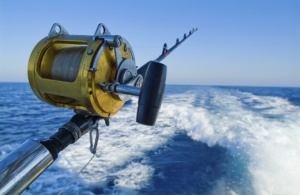 *The location, the type of Fishing and the equipment will be arranged depending on the weather conditions and season, by contacting the office. 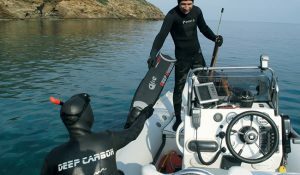 Spearfishing in magnificent and full of life diving destinations close to Paros – Antiparos or further islands, with experienced Spearfishing hunters, who respect the underwater environment and make right management of fishes on each place. The passion and our love for the deep will take you safely to the underwater world with the most specialized equipment. We provide video recording with a Go Pro Camera. The location and time will be arranged depending on the weather conditions and season, by contacting the office. 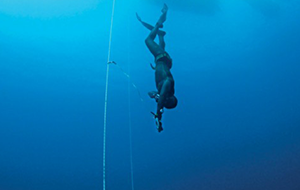 *Spearfishing equipment: ( wetsuit size, fins size, weight ) and age, skills, experience and health status, needed informations. Required informations: wet suit number, fins size, skills, experience, age, physical condition. Explore Paros – Antiparos and other Cyclades islands underwater through many diving destinations and discover the surprises and mysteries. Clear water with clarity and very good visibility in breathtaking color combinations. 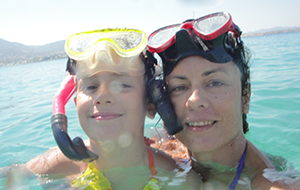 Caves, fissures, old and new ship and airplane wrecks, to a great diversity of fish and other sea organisms are the features of Cyclades underwater world. Our experience and well-maintained equipment, guarantee your safety and pleasure to the maximum. *Required : Scuba Diving Licence, wet suit number, fins size, physical and helth conditions. If you want to find the most peaceful and quiet beaches on Paros – Antiparos, but also and to other Cycladic islands, in conjunction with beautiful and crystal clear bottoms, unique for Snorkeling, come with us to take you there! 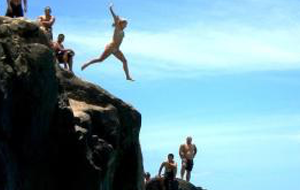 If you want to find the best spots for Cliff Jumping on Paros – Antiparos and others Cycladic islands in conjunction with beautiful and crystal clear bottoms, come with us to take you there because we know better.